Screen resolution is a number of pixels (small dots) your screen has horizontally, multiplied by the number of pixels vertically. The more pixels you have, the better the quality of the image. 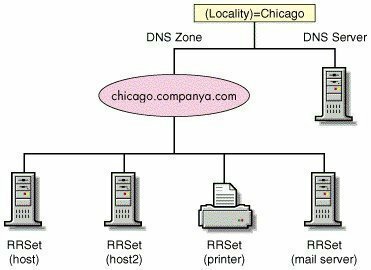 In practice, lower resolution means that text, images and interface elements will appear larger, while higher resolution means everything will be smaller and sharper, because the same thing is comprised of more smaller dots. 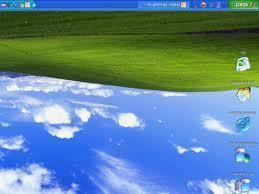 Larger displays require bigger resolutions to avoid issue of pixels being visible from close viewing. 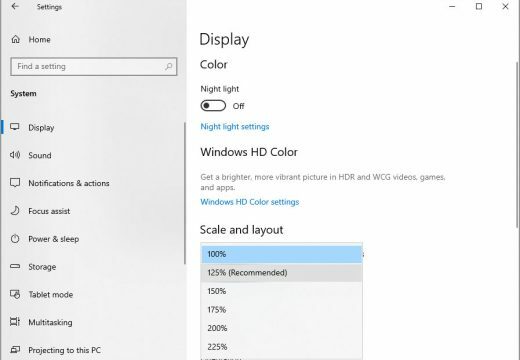 Monitors usually have default resolution in which your screen will look best possible; however, when you install Windows 10 there are cases when your system will not run on this default screen resolution. That usually happens when you don’t install graphic card drivers and in rare cases monitor drivers. Under the section “Scale and layout” click on the “Resolution” dropdown box. It is best to use what Windows thinks it’s the “Recommended” resolution, since this is usually the optimal resolution for your monitor. 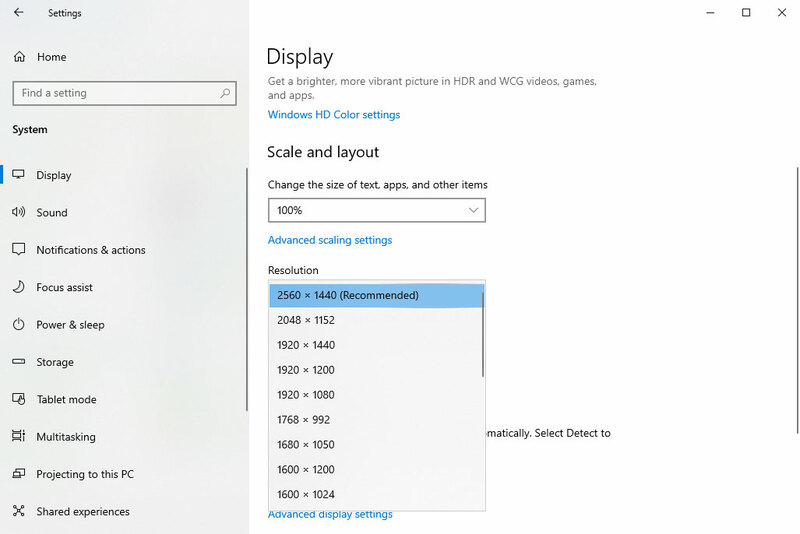 If the “Resolution” dropdown box is greyed out, or you are missing the resolution you think you need to have, then you will probably have to upgrade your graphic card and in certain cases monitor drivers. 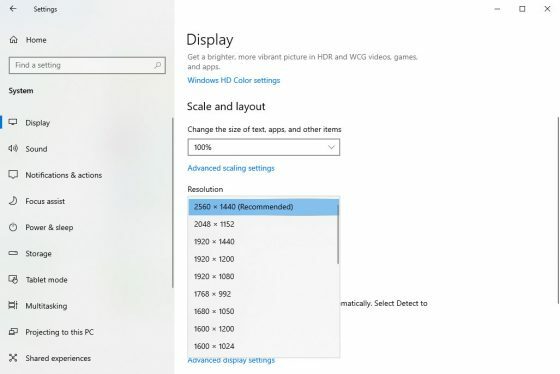 In case you changed the resolution to make things smaller and that didn’t help, you should note that Windows 10 by default has scaling set to 125% (this means that regardless of the resolution everything will be 25% bigger). To reduce the scaling, go to the same screen where you changed the resolution, click on the “Change the size of text, apps, and other items” drop down box and set its value to 100%. You might need to reset apps to apply the new settings to them. 456 queries in 0.642 seconds.